Get to know your very own OnePlus X with the help of Sydney CBD Repair Team. Read the manual to get the most out of your smartphone. The bang for the buck yet stylish ceramic phone is here. 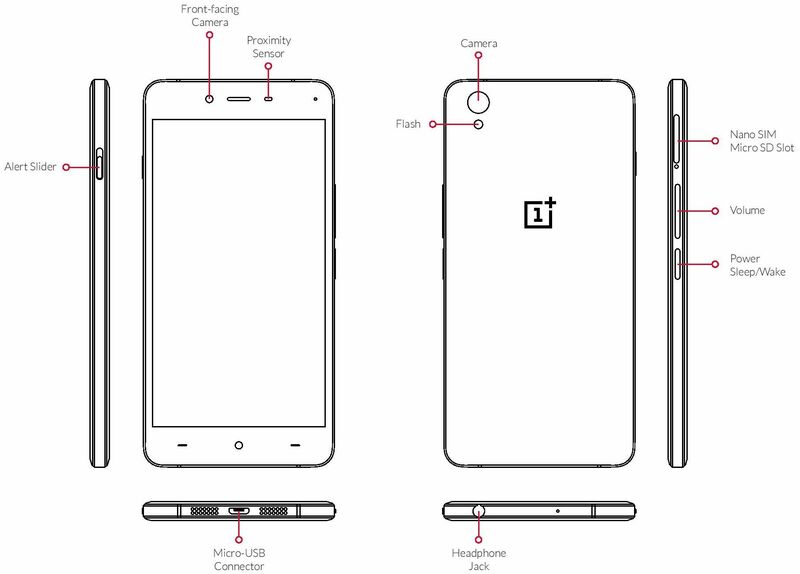 Read OnePlus X’s specs. finely contoured design meeting the principles of good ergonomics. Truly powerfully beautiful. There’s no need to lug around two phones or change out your SIM cards while traveling. Stay connected to two networks, simultaneously! Using the SIM ejector tool, remove the SIM tray from the device. You can place either two nano SIM cards into the tray, or one nano SIM and one Micro SD card for up to 128GB of expandable storage. WARNING: Please do not insert your cards directly into the device. 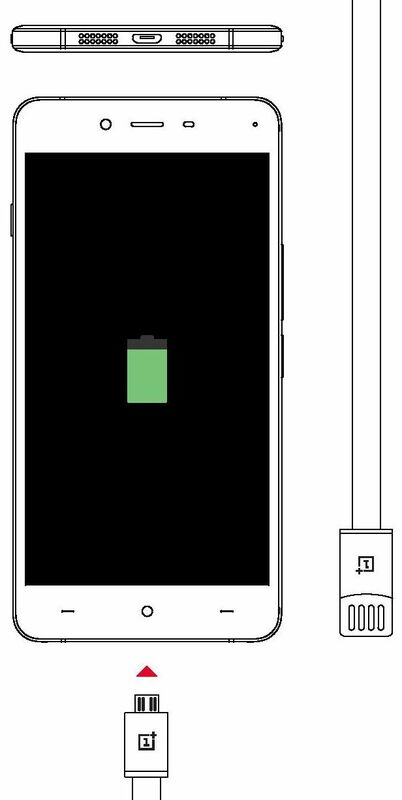 To charge your OnePlus X, use the cable and charger included in the box. 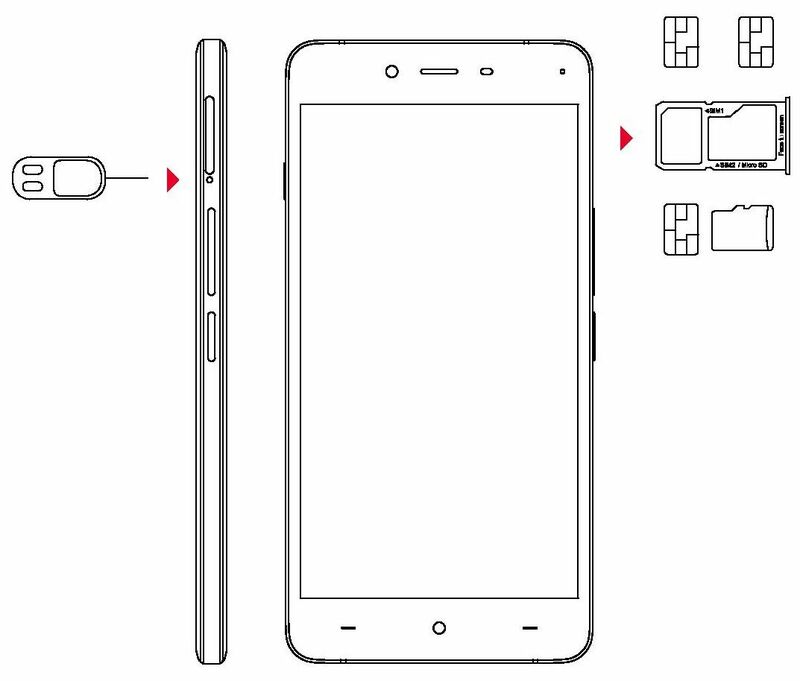 Insert the Micro-USB end of your cable into the OnePlus X’s port, located on the bottom of the device. Then, insert the USB Type-A end of the cable into the port in the charger or a USB port on a computer. For the best experiences, we advise to use the original charger and cable with your OnePlus X. 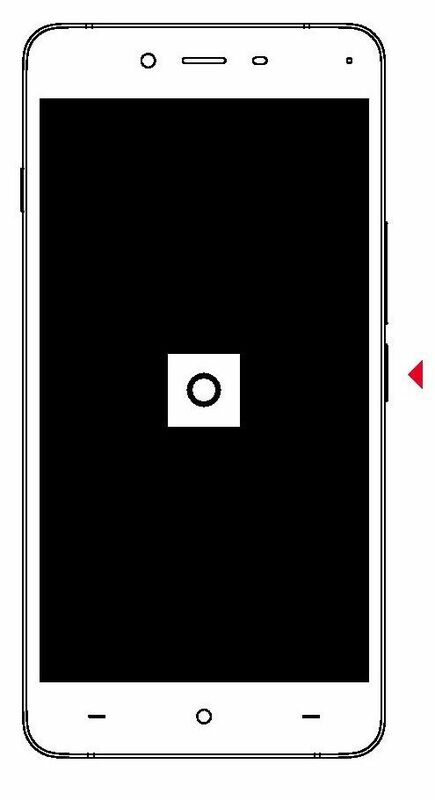 Turn on your OnePlus X by pressing and holding the button on the lower right for a few seconds. 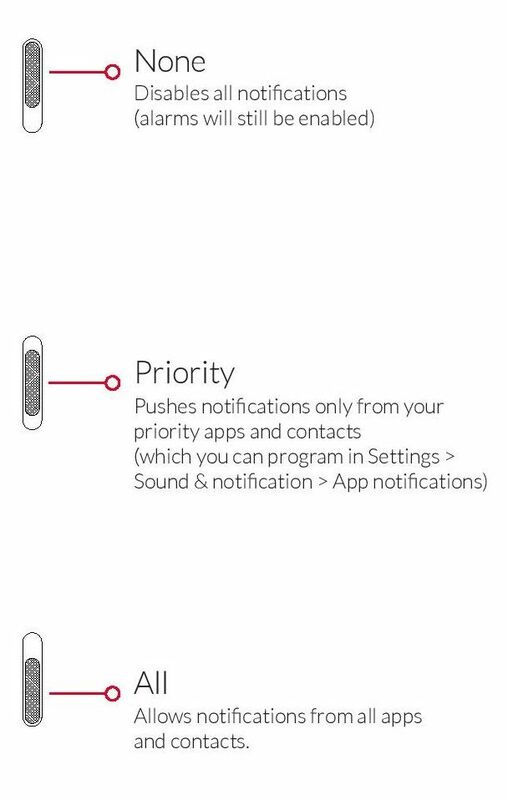 When powering on the device for the first time, follow the on-screen instructions to personalize your OnePlus X experience. 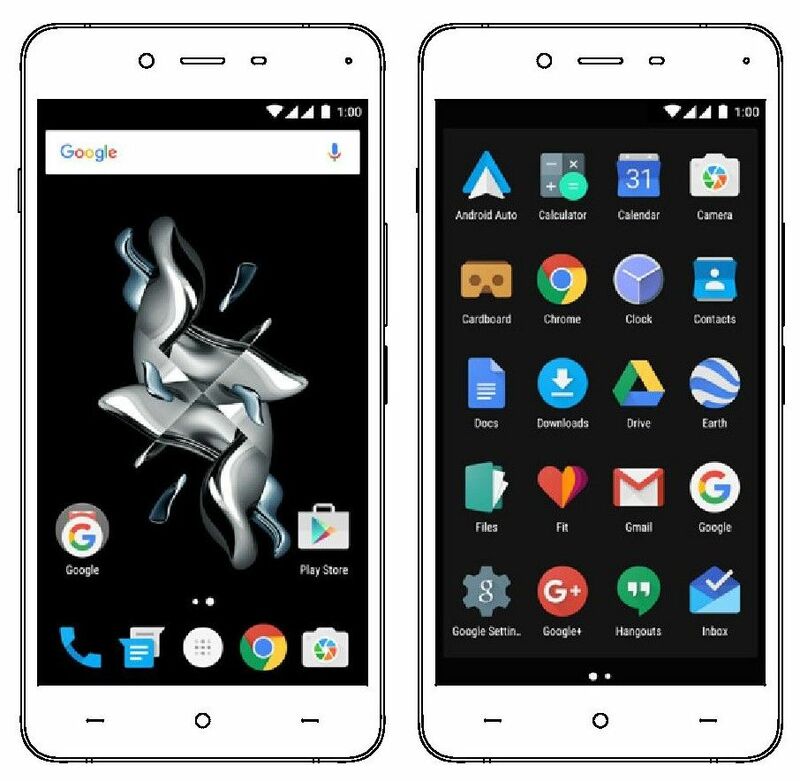 The OnePlus X software, OxygenOS, is our custom ROM based on AOSP (Android Open Source Project), and comes packed with cool features. The launcher supports third party icons and also allows users to change their app drawer grid. From the launcher, swipe right to pull up Shelf, our glance-friendly feature that neatly presents your frequently used apps, favorite contacts, widgets, and more. Users can re-arrange their icons by long pressing on the home screen and clicking “Rearrange” to fix any clutter. 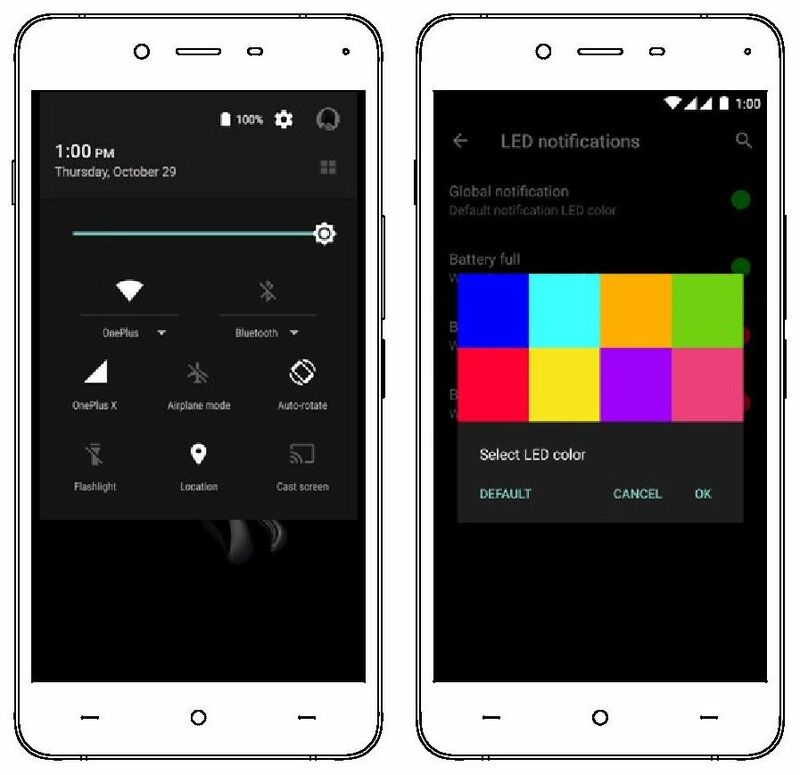 New to the OnePlus X are the added Ambient Display and Proximity Sensor features. Ambient Display wakes up your sleeping screen to alert you to new push notifications, so you don’t miss a thing. 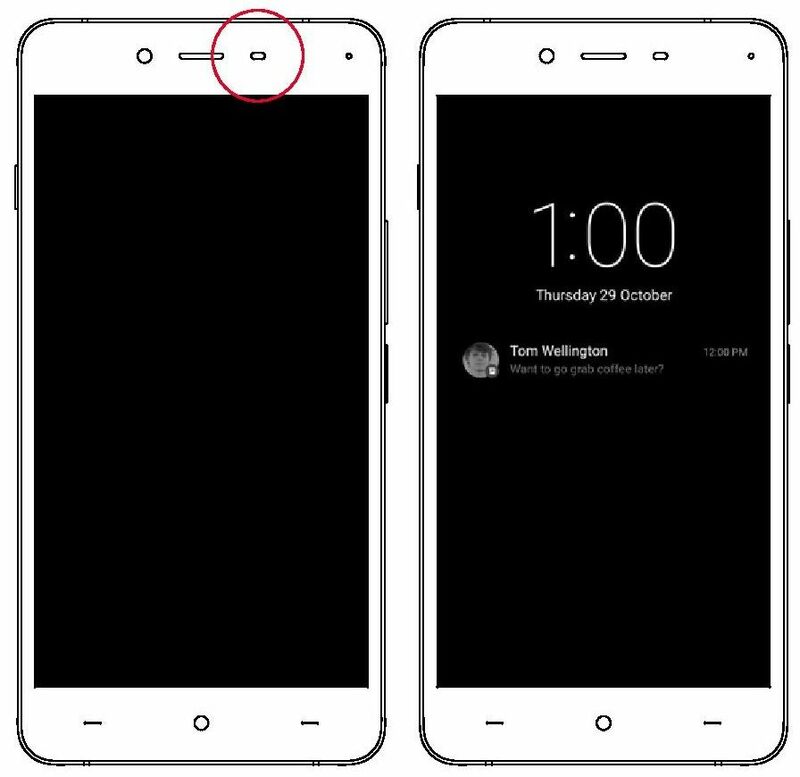 The Proximity Sensor shows you anything you may have missed simply by waving your hand in front of the camera or take your phone out of your pocket. You can enable these in Settings > Display. 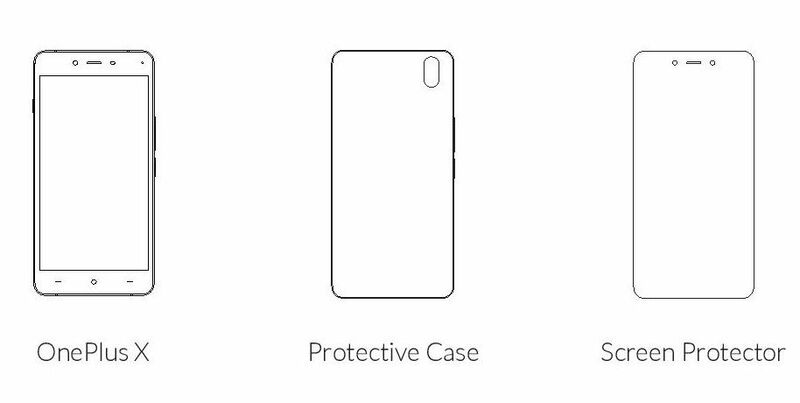 Security was also a huge focus when building OxygenOS. 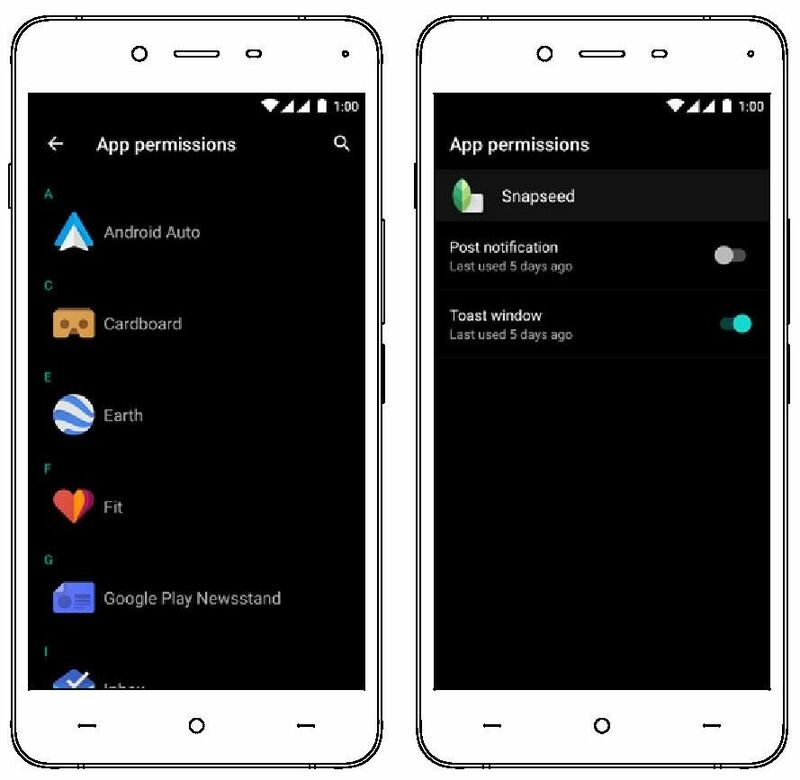 App Permissions allows you to control what apps can access, things like location, identity, or contacts. Don’t want a particular app to bother you with notifications? Turn them off. The default Dark Mode enables a system wide dark theme on the device. Disable Dark Mode for a white theme. OxygenOS also natively supports custom icons packs, allowing you to drastically change the look and feel of your device. Options also exist to fine-tune the LED indicator, icon grid size, and more. Use Accent Colors to change the feel of your device. Champagne, a subtle gold color, is a new Accent Color exclusive to the OnePlus X. To send an SMS launch the Messaging application from your Launcher or Application drawer. Enter the name or phone number in the field or select someone from your contacts. Type your message, then tap Send icon. For an MMS. In the Messaging application, tap the you want to add. 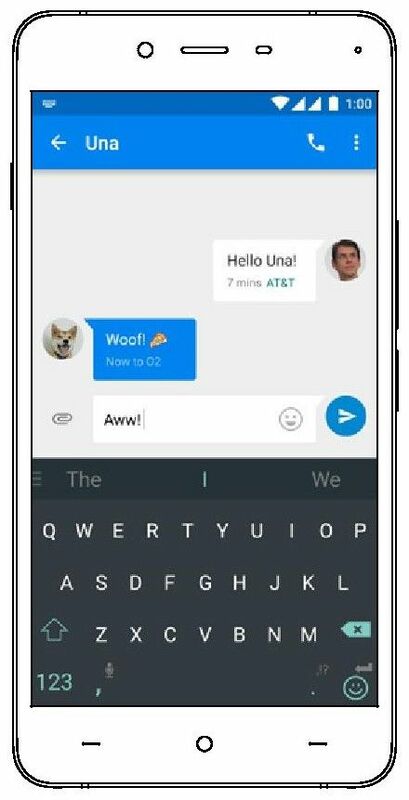 Type your message, then tap Send icon. 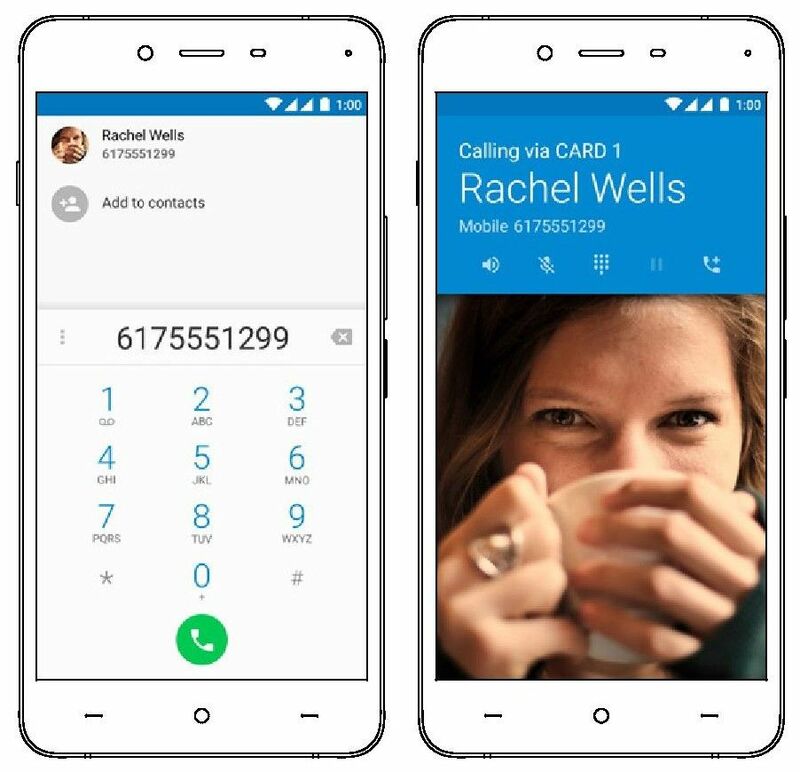 Tap the Phone icon from your Home Screen or Application Drawer and use the App Drawer to make phone calls manually or tap any contact card from the Speed Dial list to quickly dial that contact. Tap a phone number in Contacts, an e-mail, or a text message to make a call. Contacts from your Address Book are automatically added to your Speed dial list based on frenquency of use. You can permanently pin contacts to the top of your Speed Dial list by marking them as “Favorites“ – just tap the Star icon associated with each contact you want to add. 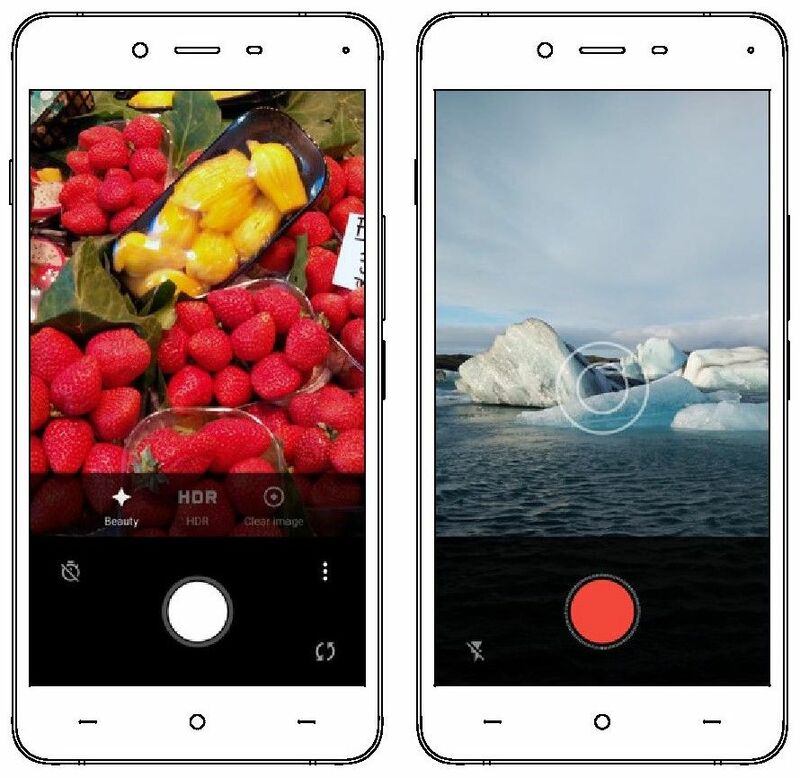 The OxygenOS back camera includes several modes: Clear Image, HDR, and Beauty. Clear Image rapidly takes several photos of your subject at once and combines them into a single image for clarity and definition. As well, you are now able to capture “Slow motion” video at 120 frames per second along with “Time-lapse” mode.